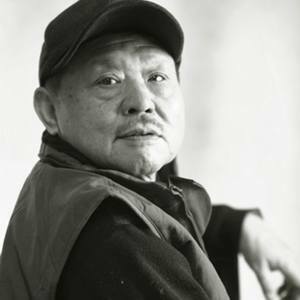 Xiao Dayuan, was born in 1944, member of the Beijing Artists Association, the company's chief artist now. His paintings, engraving, sculptures and paintings have taken part in many important exhibitions at home and abroad, and have won many prizes. In Beijing, Nanjing, Harbin, the United States of Chicago, Hamburg in Germany, Edinburgh and other British city held a personal exhibition. Has won the "International Honor Award", and enjoy the "world outstanding Chinese artist" honorary title. His works have been published in the Jiangsu art, painting, China jhenuk, Xinhua digest magazines and newspapers. The works have been collected by individuals and organizations in more than 20 countries and regions at home and abroad. Such as "the spirit of flowers" was collected by the Swedish queen. Four modern paintings were collected by the The National Gallery of china. Xiao Dayuan is the pioneer of Chinese modern art, had in the 70 - 80 Ren Beijing oil painting research group leader, had organized the first Chinese modern painting will - "Star Painting Society", the world's major media have reported. Xiao Dayuan has never stopped the study of the modern art of the East and the West. His experiments on abstract paintings have a profound influence on Chinese young artists.